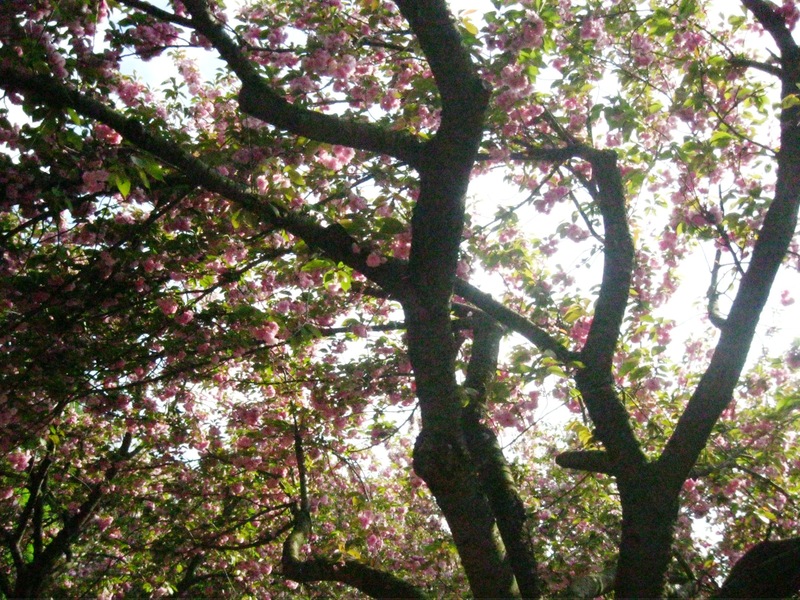 Last week I took the train to Prospect Park in Brooklyn to view the cherry blossoms at the Brooklyn Botanic Garden, hoping to recapture a hint of my life experience in Japan. 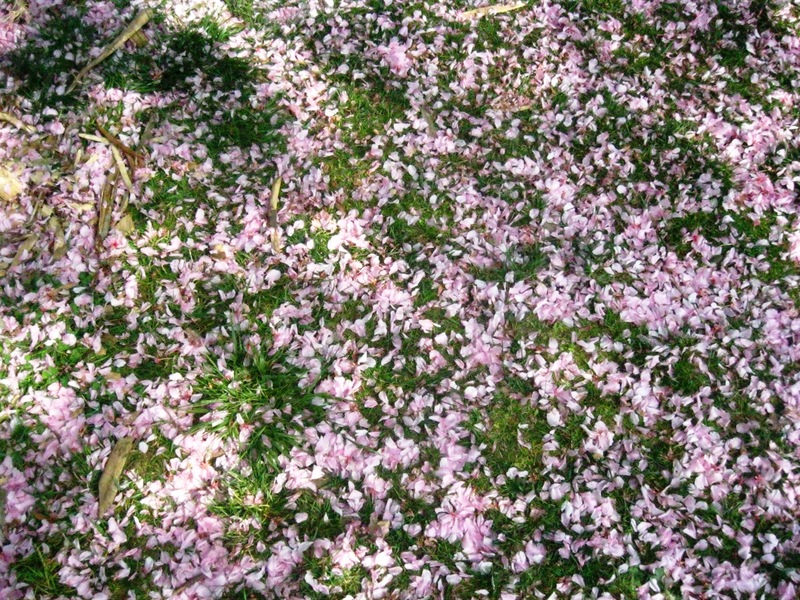 Sure enough, the Cherry Esplanade delivered its promise: bunches of pink cherry blossoms on the myriad of branches forming arches over the garden alleys; a rain of pastel petals whirling in the wind, dotting the field of grass. Coincidentally I met my friend Carolyn from Ma Vie en Franglais there. 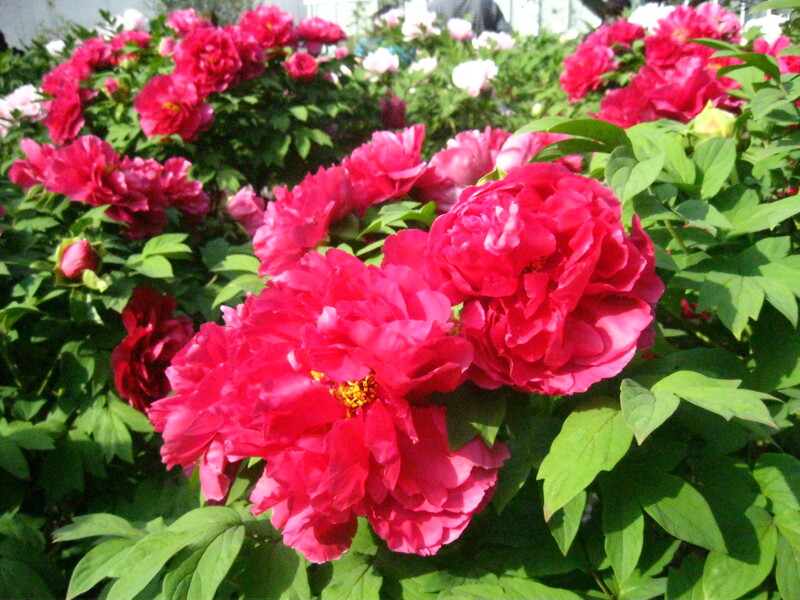 We continued our tour of the garden together, wondering at the bright colors along the way. Don’t get me wrong, I hate gardening with a passion (I couldn’t even name the flowers pictured below) but if I need to relax, nothing’s better than a walk in a park. 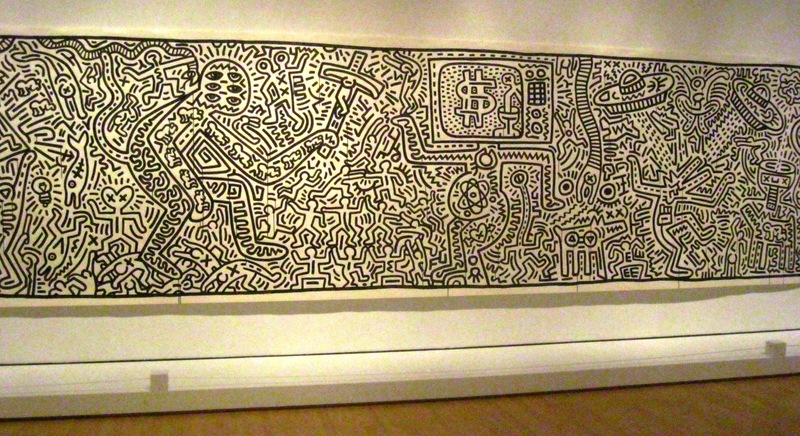 Carolyn and I then made our way to the Brooklyn Museum to view the Keith Haring exhibition. 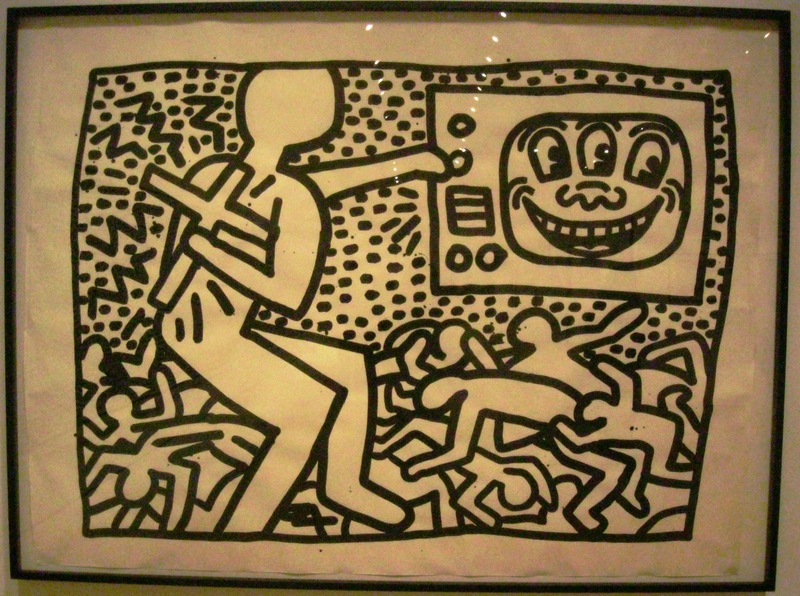 One of the best-known American artists of the 20th century, Keith Haring was deeply inspired by graffiti. 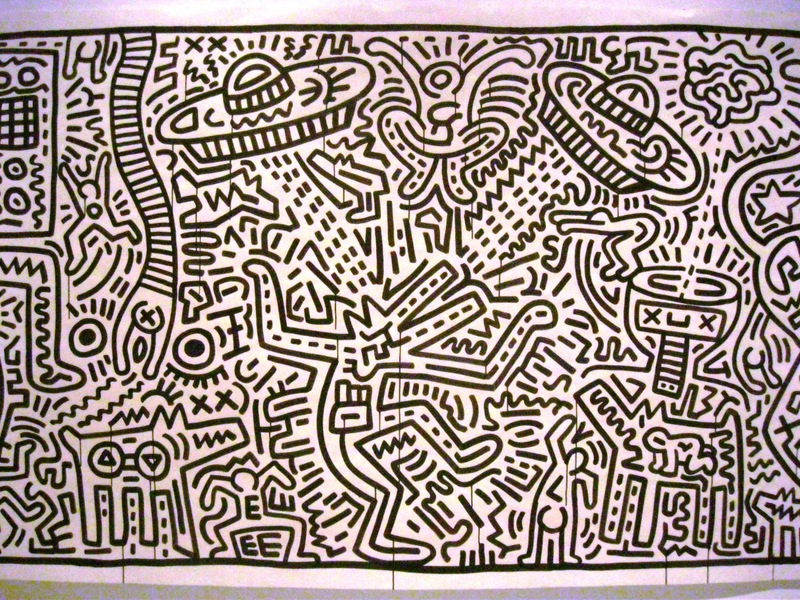 The exhibition focuses on the beginning of his career from 1978 to 1982, when his energetic street-art was ubiquitous throughout New York City. 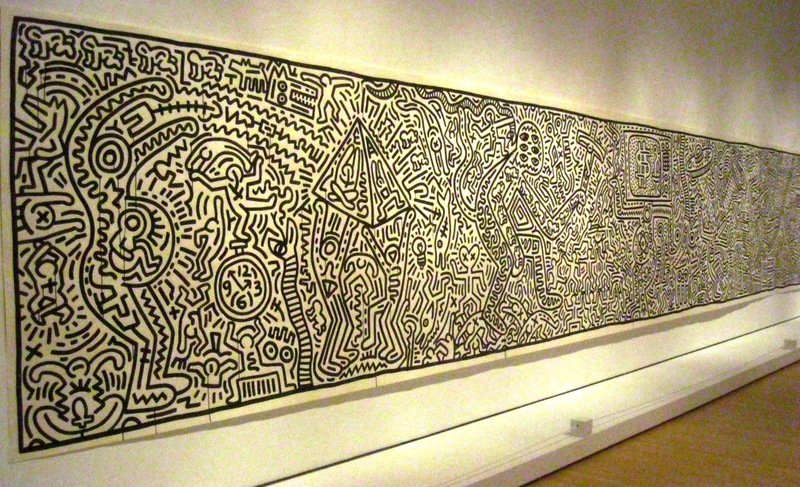 A fixture of New York’s downtown culture, Haring befriended artists such as Jean-Michel Basquiat. New York was quite a different city at the time: gritty, with a somewhat dangerous and creatively bustling energy. The amazing soundtrack of the exhibition stays true to the period with bands like The B-52’s, Blondie, Talking Heads and The Clash; you can listen to the iTunes list on the exhibition’s page. 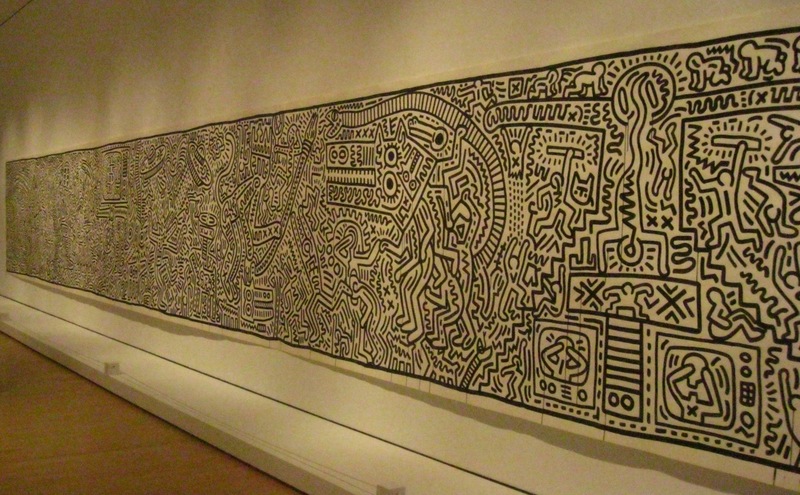 The highlight of the exhibition was this impressively long mural. 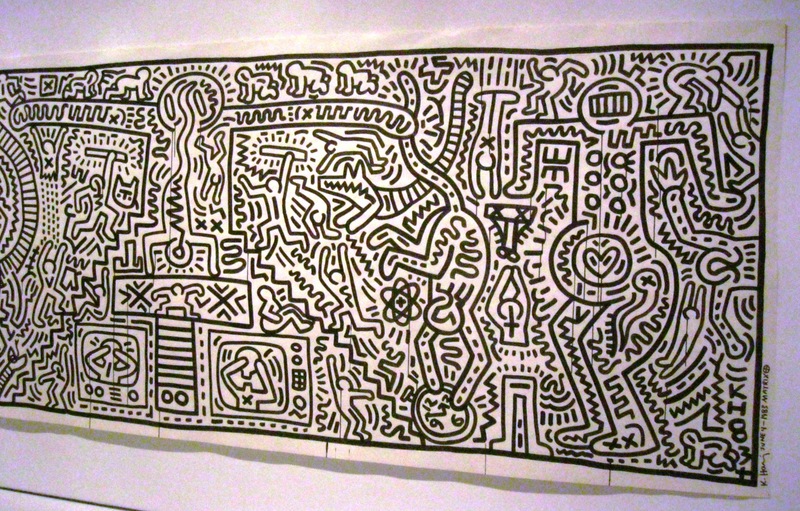 Carolyn wondered if Haring had painted it according to a plan or if he had improvised little by little given how detailed it is. I hope you enjoyed this little tour in Brooklyn! Now tell me, how did you spend your own weekend? You can read Carolyn’s great post about our afternoon right here on her blog Ma Vie en Franglais. 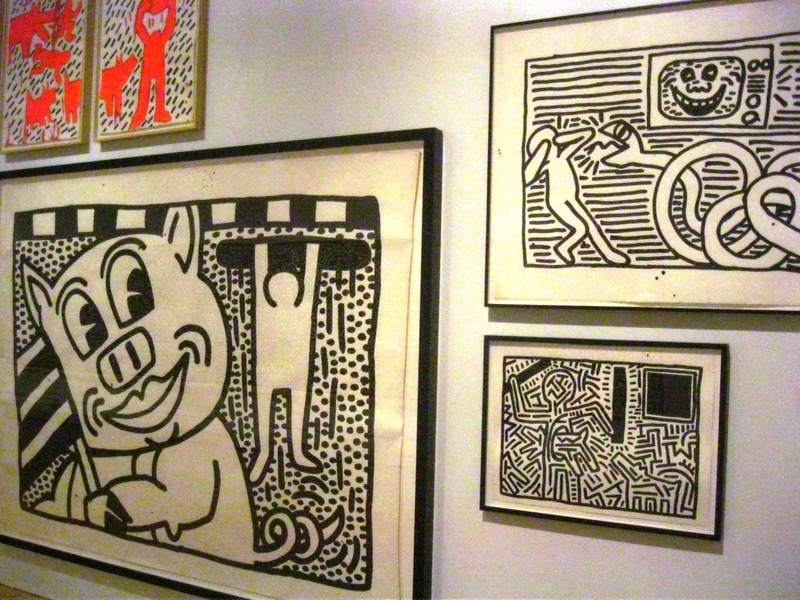 The Brooklyn Museum is one of my favourites, haven’t been in years! 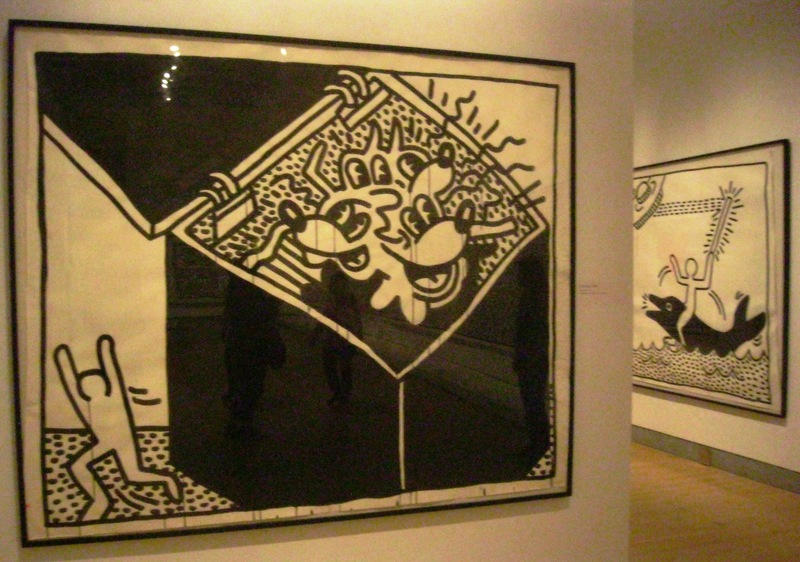 Anne, I can always count on you for such lovely, intelligent posts (and photos from museums you daring photographer!). I hope to make good on my plans to visit soon and catch up. PS, glad to have some fresh content from you!! Hope to see you soon in New York! wow, what a great weekend! love the art and quotes, i spent last weekend taking part in a demonstration in uk for free and fair elections for my home countrt, malaysia! 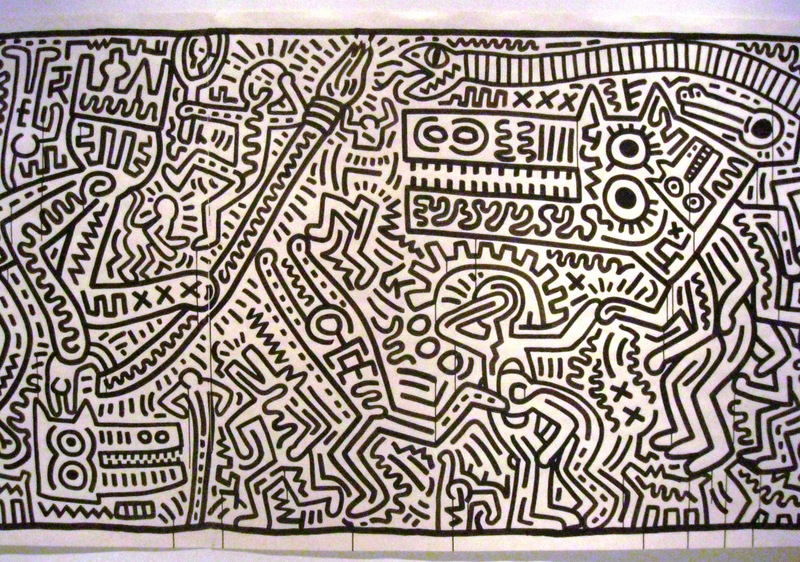 That graffiti looks Egyptian actually! It’s so cool! Love the blossom too! Those gardens are lovely but I wish they had a part where you could take a picnic, the different features are so pretty to look at and spend time in. 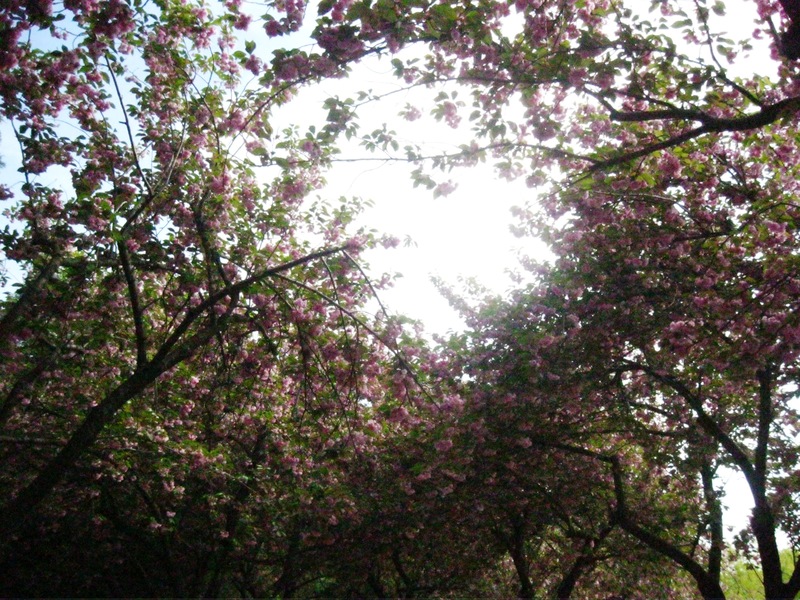 When I visited the cherry esplanade was still to bloom, I really should go back to see this! So funny you bumped into Carolyn, small world! It was really beautiful but I’m not sure they’re still in bloom; it doesn’t last long usually. I couldn’t help but laugh at the similarities. I absolutely abhor gardening. I’d much rather be whipped. Conversely, I love traipsing through James’ Park in London or the local gardens here in Hampshire. Just don’t ask me to name any flowers or plants because I have no idea what they are. p.s. 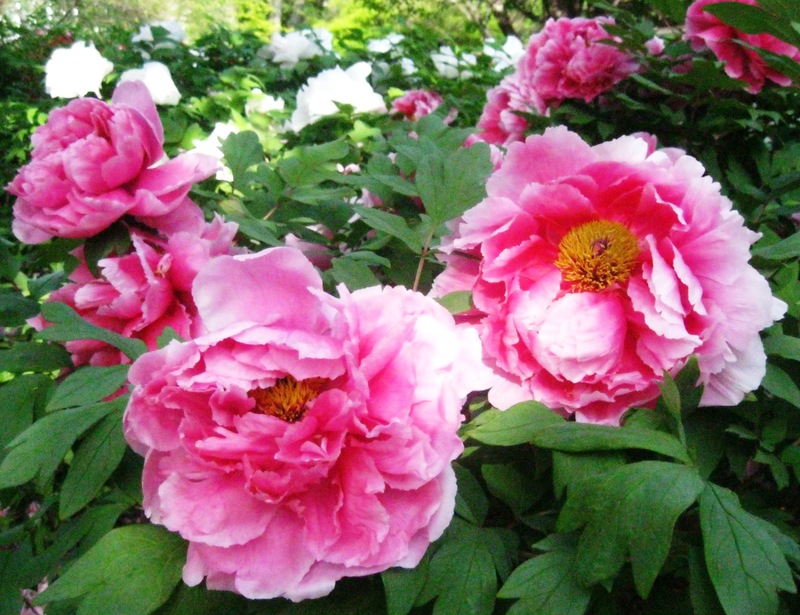 I just discovered recently that the beautiful flowers I’ve been admiring for so long are called peonies. See what I mean?